What is WikiProject Women in Red (WiR)? We're not, however, trying to solve editor gender gap, meaning that we think both men and women are equally able to create articles about notable women. How is WikiProject Women in Red related to other WikiProjects? What specific efforts is WikiProject Women in Red making to reduce/improve the content gender gap? We maintain lists of blogs, conferences, contests, discussions (Wikipedia; Wikimedia), editathons, Inspire grantees' projects, mailing-lists, meet-ups, newspaper articles, scholarly articles, social media campaigns, workshops, etc. We use Wikidata to manage several aspects of the project because of its size and scope. We hope to collaborate with international festival organizers (example: Litquake). In addition to needing editors to write the articles, several key volunteer positions have been identified: Data Coordinator; Promotions/Events Coordinator; Lead Coordinators for each language. We hope to establish a teaming arrangement with the Wiki Education Foundation as we believe university students are important to this endeavor. We would like to build on the education outreach efforts described by User:Kruusamägi (Wikimania submission: Possibilities for university cooperation: Estonian example) "Every academic year more than 500 articles on Estonian Wikipedia are created as part of local cooperation with universities." Build on Wikimedia's "Address the gender gap/FAQ"
How can I help? Who can join? Anyone can join! You do not need to have edited Wikipedia before, nor is the project restricted to women. Any help you can give, big or small, is greatly appreciated! To get started read our primer. Threads older than 30 days may be archived by lowercase sigmabot III. "Komm rein, mach mit", meaning "Come, join us". 4 Women's suffrage in film? 6 AfD Tammarrian Rogers, could an experienced editor have a look? 14 Hundreds of A+F submissions lingering at AfC - anyone an active reviewer? 23 Anouk's "It's a New Day"
26 A new newsletter directory is out! 32 Could I request some double-checking of Marian Westropp-Dawson? Hello, I added a limit to Wikipedia:WikiProject Women in Red/Missing articles by occupation/Scientists of 5000 entries, due to ListeriaBot not being able to edit the page anymore and the massive size making the page slow to load. Even with a max of 5000 entries (which about halved the size of this specific page) the page continuous to load slowly. First, I support your change, RA2F; thank you. Clearly the page as was, was broken. Next, that's a particularly poor redlist for two reasons: 1) it lists occupations covered in other lists and 2) it doesn't include subclasses of the occupations it's querying for (albeit for the obvious reason that to do so would leads to a timeout). Given the length problem, ideally it would be constrained to scientific occupations not covered in other lists; and it would include subclasses of occupation. Like you, my preference is for shorter lists; I created by-country lists of actresses, painters, politiciaans and writers a year or more back to provide a larger set of smaller redlists. Ipigott spoke in favour of retaining the single large list of actresses, which lists an arbitrary 5k of so of the ~37k actresses; I don't understand why; now seems a good time to rehash that discussion. @Redalert2fan and Tagishsimon:: First of all, I'm glad to see this problem has been sorted out and the scientists list is being properly updated once again. It seems to me that if 5,000 is still liable to cause updating problems, then perhaps we should establish a rather lower maximum length. The reason I like the "single large list of actresses" (and similar longer listings) is that it provides a useful overview or starting point. As I am fluent in a number of languages, I frequently use these longer lists to identify articles in several of the other wikis before I actually choose names on which to start new biographies. I usually write about people who died long ago as I am interested in historical figures and it is easier to incorporate relevant images. By using the longer lists, I can find names from several different countries by doing date-based sorts. 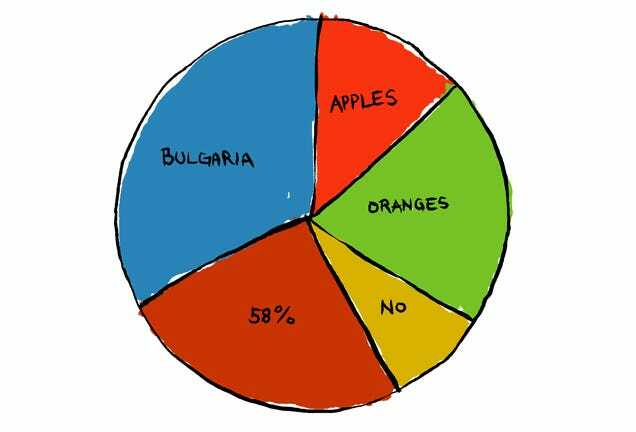 Otherwise I would have to go through many different country-based lists. Of course I find the separate listings by country useful when concentrating on one language or nationality but in some cases they do not display the names of all the interesting historical figures as countries such as Italy and the Czech Republic have changed their names over the years. One of the more recent features which I find very useful is the sitelink column where I can often find the names of women who have been covered extensively in other languages but not in English. I don't think there should be problems with resources for updating the list, I would hope that ListeriaBot has that covered. There seems to be a set max number of items that can be on the page but not limit to the things that can be displayed as dob,pob,occupation,image etc. This does have the effect that we can have page which are over a 1M bytes which does actually take significant resources to load. Try to go to Wikipedia:WikiProject Women in Red/Missing articles by occupation/Scientists (near 1M) and you actually have to wait before you even can press the edit button and then you have to wait again when the text loads. This is a clear case of a page that is too large. I think keeping pages sizes under 500K if possible is recommended. This by either limiting the number of entries, or removing some fields from the table, all information can be found on wikidata if needed. Unfortunately our enthusiasm for the list in this case seem to be limited by page sizes and not specifically # of entries actually. I would love to see both options working but it seems like limiting large list for usability purposes is the way to go. I am in for making smaller list for occupations that there are many performers of, by country, separate from the discussion of the large lists problem these can be made anyways. Sorry, but I haven't dealt with overturns before. Perhaps you were thinking of someone else, IPigott, e.g. @Ritchie333:? I was just talking with a new editor, CuriousDaily, about an interesting idea they have for an article: women's suffrage in film. It seems like we don't cover such a topic directly, although there are plenty of relevant sources out there. There's a "popular culture" section of Template:Suffrage, but otherwise I don't even see a category. So we were talking about how best to approach it, e.g. women's suffrage in film, suffragists in film, suffrage films, pro-suffrage films, etc. My inclination was to recommend starting "women's suffrage in film" which could encompass the rest, unless there are sufficient sources concentrated on a genre they refer to as e.g. "suffrage films," but that's based more on Wikipedia best practices than on deep knowledge of the subject. 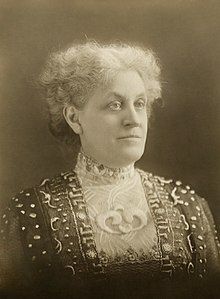 Since you've been doing so much great research/writing about women's suffrage recently, I thought WikiProject members/page-watchers may have some valuable input on the best approach, may have come across some good relevant sources on the topic that you could share, or may know whether or not we deal with this or related topics already (perhaps within another article/context we've not yet come across). For context, CuriousDaily is participating in a Wiki Education professional development course to improve suffrage-related articles in collaboration with the National Archives (in advance of its Rightfully Hers exhibit opening in May). AfD Tammarrian Rogers, could an experienced editor have a look? @Mujinga: It's an exemplary start of the very highest quality; thank you. Selected works - yes, entirely at your discretion. @Mujinga: It's a great article, thanks. I've rearranged the opening sentence (the "lead") because if birth and/or death dates are known they conventionally go directly after the name, in brackets. It makes it easier for readers, especially those scanning a list of hits or hovering a mouse over a title, if the dates are in a predictable place and right near the start. I've also added her to the surname page Bosch (surname). Some other editors would also add her to a given name page and add her birth to the 1954 year page, but I don't usually do that myself. (Ah, well, on finding that Mineke was a redirect to the one other name-holder, I've this time created a given-name page for them). @Tagishsimon: An infobox is a great idea! An increasing amount of articles seem to point out that this work of art was not the creation of Marcel Duchamp but Elsa von Freytag-Loringhoven, so I tried for the article to reflect that better. As a result, a user not only removed all my edits, including references, but also completely deleted her name from the lede of the article. I put it back in there, but as he has removed all I wrote, I am pretty sure he will remove that once more. Is there anything I can do? I think Elsa von Freytag-Loringhoven is a new story for many of us - for me because of The Guardian's story . It does not seem to be such new news for the wider art history world. The topic is discussed in depth on what is, for now, the article's reference 2 - . Perhaps the best approach is to start a new discussion on the article's talk page setting out the changes you'd like to see made, and arguing for changes from the supposed consensus. Hundreds of A+F submissions lingering at AfC - anyone an active reviewer? I haven't really been updatuing the showcase until today, so here's everything since the last update, for your enjoyment. They are by various people and restorationists, a good chunk are mine; Yann - who is rather underrepresented in this slice compared to how much he does - did the Anne Dallas Dudley image; Rhododendrites did the excellent Helen Keller restoration; Jebulon did the Nobel Prize one - he does a lot of work, but much of it for French Wikipedia, so not all of it gets over here; and the Martha Érika Alonso was released by her before her untimely death. @Ian (Wiki Ed): Thanks Ian. I spent many hours yesterday, and I've been going for a couple of hours today, doing largely technical fixes on WikiEd related articles. And I know a number of others from this group pitched in to help with yesterday's economists and will dive into today's scientists & clinicians. Your work is very very welcome indeed, but even for the best articles there is always something more to be done - arcane technical stuff like wikidata links, redirects from name variants, links to new biogs from existing articles &c. For editathons we've seen a repeated history of editathon / short delay / deletathon which can largely be prevented by making the articles look the part such that they do not catch the deletionists' eyes. And WiR has lots of specialists in doing all these things. @Tagishsimon: - I absolutely get it that it's not about ownership, and yes, I know the value of getting things to look right. (If it looks wrong, you tend to look for a problem, while if it looks right you assume that the article creator really knows where their towel is.) @PamD: working this into the broader workflow of all classes would take more thought in terms of how to implement it in ways that doesn't generate mass confusion. I could imagine adding Rater to students accounts (my favourite new tool), since it lets to search the list of existing WikiProject templates to add. But I could also imagine something like that going horribly wrong (with, say, students rating articles as GAs because that's what ORES predicts). Something like 90% of students work on existing articles, but there are some classes that do a lot of article creation, especially in areas like women's biographies and species articles. Anouk's "It's a New Day"
replacing "Wikidata id" with the ID itself. This will generate a redlink; clicking on the redlink brings up the preloaded template. But it will only work with a redlink. If you try Q7524, you'll get a link to her existing article instead. Thank you :Ipigott for your response. However this article is a much older version of the article. I understand now that it is far too promotional. I have since rewritten it entirely with an impartial tone. The one I am looking for if you read the notification in red was deleted yesterday . If I may get this iteration back that would be so so helpful. How can I have the number of biographies accross all Wikipedias? At the moment, Denelezh only provides statistics about a specific Wikimedia project or all Wikimedia projects together, not a subset of them. Having a service providing short links exclusively for the Wikimedia projects is a community request that came up regularly on Phabricator or in community discussions. After a common work of developers from the Wikimedia Foundation and Wikimedia Germany, we are now able to provide such a feature, it will be enabled on April 11th on Meta. What is the URL Shortener doing? The Wikimedia URL Shortener is a feature that allows you to create short URLs for any page on projects hosted by the Wikimedia Foundation, in order to reuse them elsewhere, for example on social networks or on wikis. The feature can be accessed from Meta wiki on the special page m:Special:URLShortener (will be enabled on April 11th). On this page, you will be able to enter any web address from a service hosted by the Wikimedia Foundation, to generate a short URL, and to copy it and reuse it anywhere. The format of the URL is w.wiki/ followed by a string of letters and numbers. You can already test an example: w.wiki/3 redirects to wikimedia.org. What are the limitations and security measures? In order to assure the security of the links, and to avoid shortlinks pointing to external or dangerous websites, the URL shortener is restricted to services hosted by the Wikimedia Foundation. This includes for example: all Wikimedia projects, Meta, Mediawiki, the Wikidata Query Service, Phabricator. (see the full list here) In order to avoid abuse of the tool, there is a rate limit: logged-in users can create up to 50 links every 2 minutes, and the IPs are limited to 10 creations per 2 minutes. Where will this feature be available? In order to enforce the rate limit described above, the page Special:URLShortener will only be enabled on Meta. You can of course create links or redirects to this page from your home wiki.The next step we’re working on is to integrate the feature directly in the interface of the Wikidata Query Service, where bit.ly is currently used to generate short links for the results of the queries. For now, you will have to copy and paste the link of your query in the Meta page. Could I request some double-checking of Marian Westropp-Dawson? I had been intending to do an entry for Mrs. Eric Pritchard (kind of a cult hero for her "Cult of Chiffon" book (1902) among dress historians and fashion researchers) for a LONG time, but had found her to be the MOST extraordinarily difficult person to research/actually find out anything about. Turns out Marian Westropp-Dawson (as she was born) has an incredibly convoluted history with possibly two marriages (one which I can't find out anything about - did Eric Pritchard even exist? A pen-name intended to confer respectability on her as a underwear-loving woman fashion journalist?). There is still quite a bit of work to be done - she was clearly a very interesting character, and I need to add something about her connections to Daisy Greville, Countess of Warwick, to whom Cult of Chiffon was dedicated. I got so confused trying to disentangle all the conflicting leads and different clues and hints that I would appreciate it if fellow editors could check and see if it is clearly explained. Sounds great! She's probably one of the most famous Victorian British photographers, so she definitely deserves the GA. Biographies of the artists whose work is in the collection, and biographies of the quiltmakers of Gee's Bend. @Nonmodernist: Any time. The story of Gee's Bend is quite interesting, as is the story of the Foundation. If we're able to write articles about the quilters as individuals rather than members of the collective so much the better. Hi. :) After about two months, I have more or less finished two series of articles.